At the very least, anyone else in Anna Welsley's position would be satisfied. Anna is to inherit a fortune, and after a glittering London debut last Season, she is now engaged to a duke's son. Anna herself does not understand the vague feeling of dissatisfaction. While her mother industriously plans Anna's wedding, Anna herself reads poetry and wonders if what she's in is love or just an arrangement. As the estranged Scottish son of an English duke who has just died, Ewan MacLaughlin is the reluctant heir to his father's title. Arriving in London, he must face his father's widow, half sister, and half brother, Richard, who was fully expecting to become the duke himself. While acquainting himself with his newfound relations, Ewan finds himself more and more often in the company of Richard's fiancee, the beautiful Anna. When it becomes clear that Richard is conspiring against Ewan, Anna is compelled to warn Ewan. But what begins in innocence soon becomes betrayal as Anna finds the answer to the question in her heart -- in Ewan. 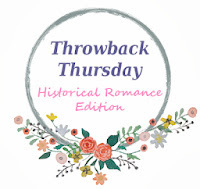 This was part of a really cool set of books from Avon called the True Romance series -- a set of historical romance novels written by authors like Kathryn Smith and Lorraine Heath. (Fun fact: Meg Cabot wrote 2 books for this series!) For more details on this series, click here to go to the Wiki page. 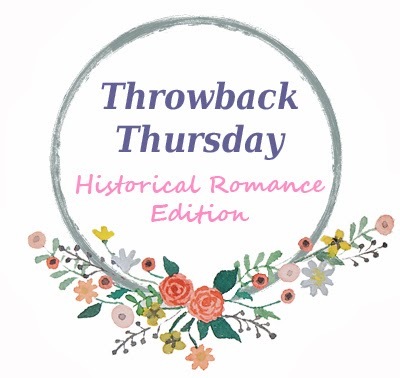 Kathryn Smith last published a historical romance in 2011. She's currently writing YA steampunk novels as Kady Cross. oh I just loved this book and series. In fact this series is the reason I love historical romance and really romance novels in general. one of these days I want to re read them all again. Such witty and charming love stories. Anna and the Duke was one of my favorites too. Great choice you have here. What~ She's also Kady Cross!? Where have I been? This definitely sounds amazing and will have to check it out ASAP!